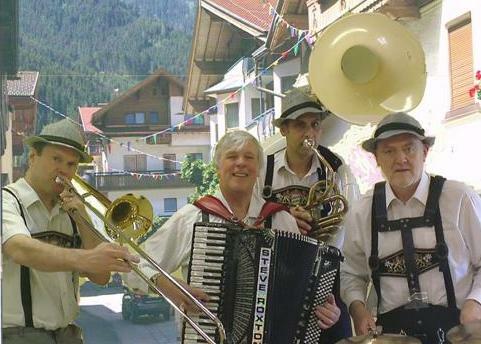 Auf Weiderseh'n'Set - 3pce Bavarian Oompah Band. A fast flowing professional performance, stemming from over thirty years experience. 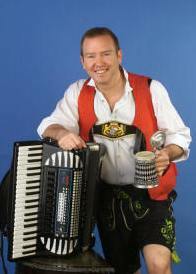 Authentic Bavarian outfit and stage decoration, song sheets supplied. Top quality sound & light system suitable for any size venue, from a small dinner party to a full blown beer festival. Your company will be singing and swaying along to Munich's best loved beer drinking songs and dancing to a polka or two (not forgetting the obligatory 'I am the music man') before a a patriotic 'last night at the proms' style finale. Guests are encouraged to enter the spirit of the theme by their choice of dress and prizes are awarded to he best dressed Bavaian Gent or Fraulein. 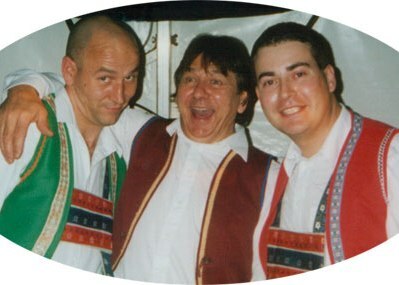 The Robert Burton Bier Keller Show can be present at any venue. Formed by some of the UK's most versatile brass players, Oompah Brass are a miltiple award winning, critically acclaimed brass ensemble & are the world's leading exponents of Oom-Pop - Bavarian style re-workings of hit pop tunes such as Guns 'n' Roses' 'Paradise City', Britney Spears' 'Toxic' & Queen's 'Bohemian Rhapsody'! Accordianist & Vocalist extra-ordinaire! Steve's electronic accordian will sound like a full oompah band at a fraction of the price. Fully self-contained. 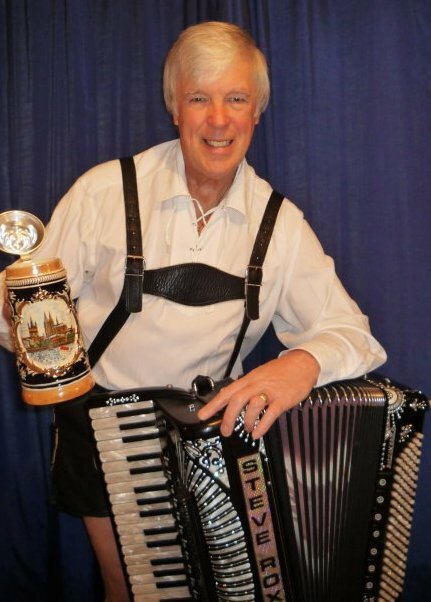 He performs upto 3x45mins of traditional German-style / Bavarian music. Ideal for those budget restricted bookings who still want to experience the full flavour of the German Bierkeller Entertainments, with or without games is optional. The Oompah Band - 3pce Bavarian Oompah Band. 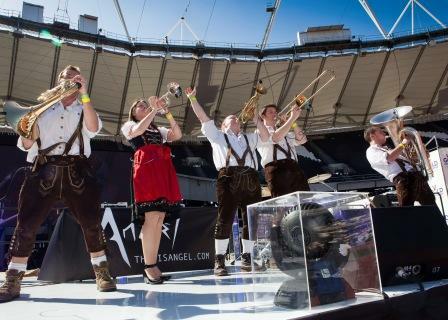 This is an authentic German Band, with a vast repertoire of traditional German 'Oompah' music & modern classics in an Oompah style that will bring an extra wow factor to any event! 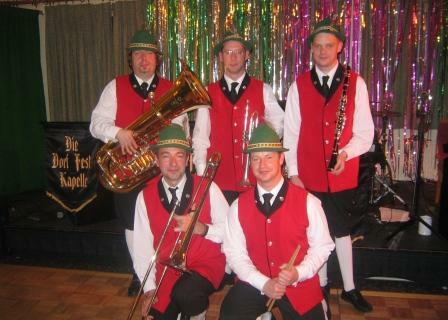 The band is based on a traditional German Oompah band and consists of 2 Clarinets, a Trumpet, a Trombone, a Tuba & Drums. 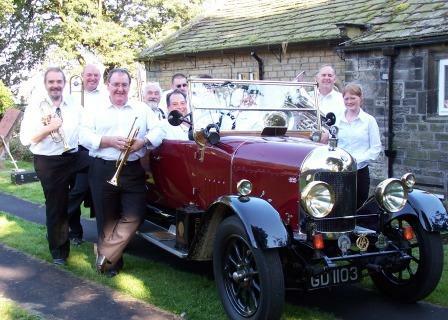 The members are all top quality, full time, professional musicians based in Yorkshire and have played with the Yorkshire Oompah Band all over the UK in venues both large and small. 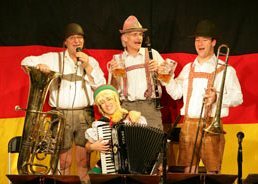 With an amazing array of Traditional Bavarian drinking songs and dances, as well as popular songs with an Oompah twist, the Yorkshire Oompah Band can provide music for any given duration & can even tailor their performance with special requests!